I agree with Alfred Wegeners theory. 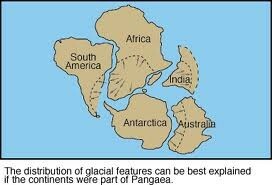 Like he originally said it looks like the continents fit together like a puzzle. After his death more information came out to support this theory. Like the fresh water fossils found on continents separated by a salt water ocean. 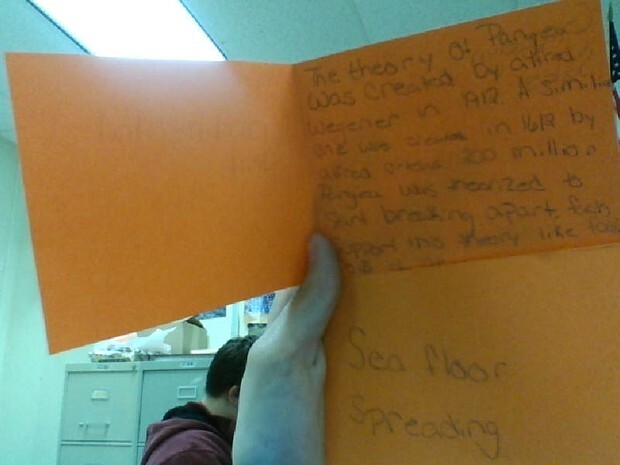 Also the tropic plant fossils found in the arctic. 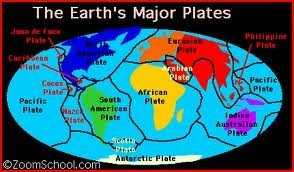 Because of this information I do believe the continents were once together. 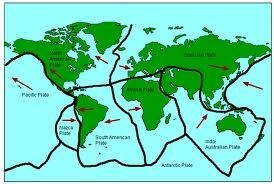 The reason there are mid-ocean ridges is because of the magma pushing up through the cracks in the ocean floor. As the new magma comes up the old hardened magma is pushed toward the continental crust and will go into the subduction zone and the cycle will start over. So as you go closer to the continents the rock will be older than in the middle of the ocean. Magnetic pole reversals cause the ridges to flow north to south or south to north. 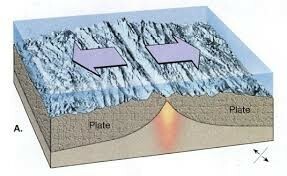 This helps prove seafloor spreading because the magma would have to be pushing up and out for there to be ridges facing different directions. 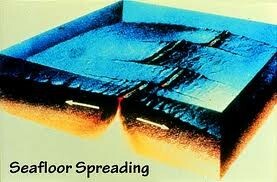 Convection currents can move things but I don't believe so in the case of the plates/continents. 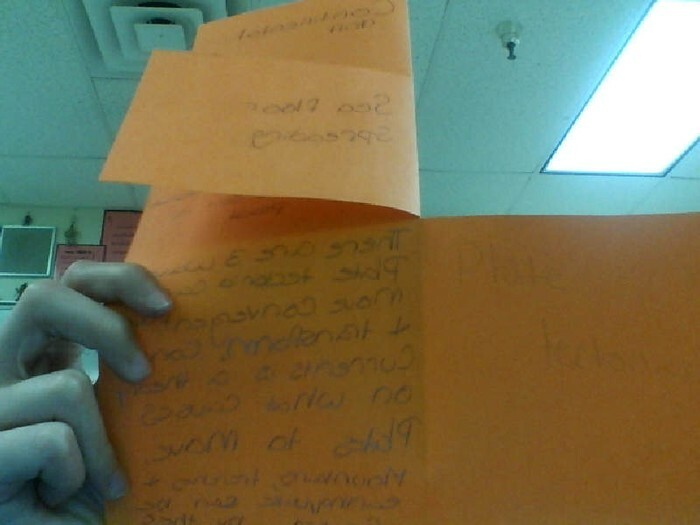 It would take a huge amount of heat to make the plates move and I don't think convection currents could do so. If the convection currents pushed the plates up and moved them once the current cooled off the plate would be pulled down. 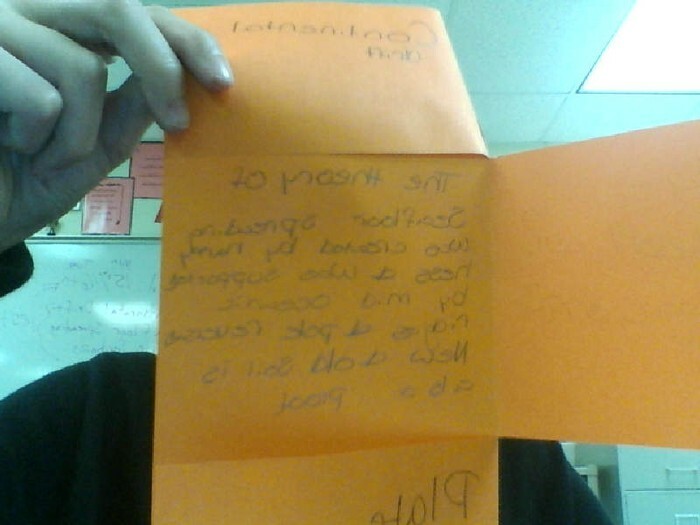 We figured that out in the experiments that is why I don't believe convection currents can move the plates/continents.